FroBunni: "So, What Do You Use To Grow Your Hair?" "So, What Do You Use To Grow Your Hair?" I get this question so often on Facebook and Twitter, and honestly, it's the worst question. It's not a question that can be answered easily, and the length of my hair is more so a testament to time and care, more than any product. 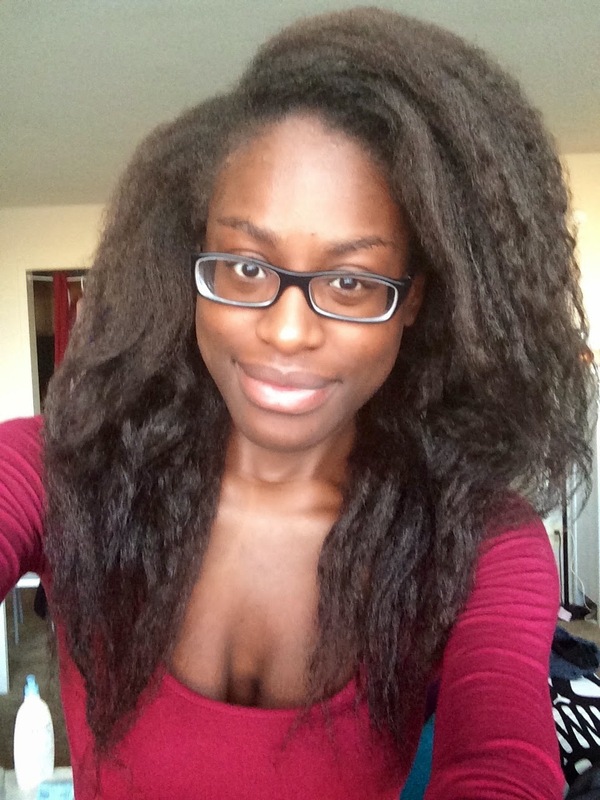 I've been natural for over six years, one of the biggest factors in my hair length is time. I didn't big chop, find some miracle product, and grow my hair to waist length in the course of a month. And you won't find any product that does (and be wary of anyone that claims their product can do such). Hair grows, on average, a half inch per month, and depending on one's genetics, it can grow more than a half inch or less. It takes a few years to go from a low fade to hair grazing the small of your waist, so understand that long hair takes time to grow long. And you will need patience. Now, on to hair care. While your hair is always going to grow, great hair care is how you retain length. Length retention is the ability to keep the length of hair that grows from the scalp. Great length retention will keep breakage and damage to a minimum so that you can grow long hair. Poor length retention will result in seemingly stagnant hair grow. It is caused by poor hair care - consistently dry hair, handling hair roughly, and improper detangling, among other things. A great regimen will allow one to retain length, while a poor or nonexistent regimen, will consistently cause breakage and damage. So, when someone asks me what I use to grow my hair, I generally go to explaining my natural hair regimen...but have you seen my natural hair regimen? My natural hair regimen is a little dense, and even with simple regimens, there's a lot to explain. "Wash, condition, moisturize, and style" really doesn't cut it as an answer because there's still the question of what products I'm using. And even if I explain my regimen in detail, there's still the (often-forgotten) question on hair handling which, in my opinion, is more important than products. I handle my hair very delicately. I've gotten so good at detangling my hair that I get virtually no breakage. 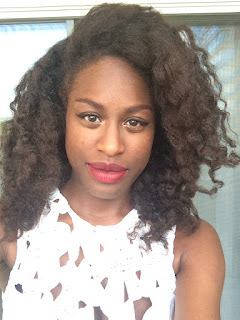 For part of the week, I wear my hair in two-strand twists, which also decreases breakage. And by using curlformers to stretch my hair, I almost never use heat, which also decreases damage and dryness. There's a lot of little nuances that go into my regimen that can't easily explain how I grow my hair. So, there it is. Despite the simple question, it requires a complicated, detailed answer. And I have never really mastered exactly how to answer it in a few short words.